As Season Two opens, Kevin had luck on his side, but we begin to see major changes in Kevin and his attitude as the season progresses. 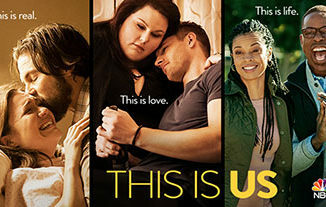 The Kevin that everyone used to know and love is beginning to turn into a person that This Is Us fans are not as fond of. Audiences feel ashamed and disappointed in him as drugs begin to take over his life and addiction sets in. Season 2, Episode 8 of This Is Us was nearly a nightmare for Kevin. “Number One” was the first episode out of the three special lenses meant to focus on the three Pearson kids. The start of this episode takes place in Los Angeles, where we see that Kevin is becoming a total mess. He receives a phone call from McKinley High, his alma mater, asking for his permission to honor him as an alumni at the school the next day. Surprisingly, Kevin responds to the woman on the phone by saying, “You guys want to honor Kevin Pearson? Let’s honor him.” Then, there is a flashback to Kevin as a teenager, waiting for the arrival of a University of Pittsburgh coach. During the visit, Kevin is rude and disrespectful to both the coach and his parents. Jack explains to Kevin how embarrassed he is of his behavior and the way he treated the coach, but Kevin responds with a stab in the back by talking about Jack’s problem and his AA meetings. These all set parallels to the current situations faced by Kevin and his currently awful state of mind. In the present, Kevin is in Pittsburgh keeping his promise to be honored at his old high school. He quickly stops at his old house where he has visions of the house as it was burning down and flashes back to a time when his whole family was playing football in the front yard. When Kevin arrives at school, he takes a walk through the school halls, looks at his #1 football jersey, and reminisces on the good times in his life. Back then, he had something to strive for, contrary to where he is with his life now. As a drunk who is falling apart, Kevin is giving a speech about how he doesn’t deserve the award, but nobody can see past the fact that he is famous and highly known, even congratulating him as he walks off. After the ceremony at the school, Kevin ends up in bed with Charlotte, another graduate from his high school class, who is now a doctor. Before Kevin leaves, he sneakily writes a prescription for painkillers with her prescription pad. While waiting on line for the meds, Kevin realizes that he doesn’t have the necklace his dad gave him, which is the only item Kevin has left from him. He rushes back to Charlotte’s, but she wouldn’t find it for him or let him back inside because of how he abruptly snuck out. Towards the end of the episode, we may feel an element of sympathy for Kevin’s loss of a sentimental item, but fans are also frustrated with how his life has spiraled out of control. In the final scene of this episode, Kevin walks into Randall’s house wanting to tell him something important. As Kevin is about to open up, Randall stops him and tells him that he knows why he is upset…because Kate lost her baby. Kevin is unable to express his own struggle as the final scene of this episode leaves viewers with their jaws on the floor. To resurface our emotions about Kate and her pregnancy, Episode 9 begins by showing Kate’s excitement to have a baby on the way. “Number Two” quickly turns its focus from happy and hopeful Kate to the thing she feared the most. When Kate was going to measure the tub in the bathroom, we hear a loud bang, and Kate calls for Toby. Instantly, we know something bad just happened, and Kate loses the baby. Toby becomes more concerned than Kate and goes out of his way to try and get rid of things that will remind her of the baby she was supposed to have. While Toby is busy getting rid of the package they were supposed to receive for the baby, Kate freaks out on her set. As she was singing on stage, she saw a daughter and her mother dancing together, and this causes her to run out. Kate leaves and is trying to avoid her mother, but ends up speaking to her, knowing that she needs someone to talk to about this. Toby, as always, is willing to be that person, but Kate expresses that she has had enough of his advice because it happened to her (not him). In addition to sleeping on the couch that night, he leaves their home for some air. Kate expects the knock at the door to be Toby, but is surprised to see her mother at the door instead. Rebecca has open arms for her own daughter to provide some much needed comfort. Rebecca begins to open up and talks to Kate about how she lost her own third child, Kyle, whom they never got to meet. This scene in this episode is very heartfelt as Rebecca and Kate have a meaningful and emotional conversation together. Kate and Toby seem to gain hope when they understand that this tragedy should not break them apart, and Kate tells Toby that she wants to try to have another child when she is ready. The mid-season finale, solo Episode 10, focuses on Randall Pearson, considered “Number Three.” Randall’s perfect and tightly controlled world is rattled with the unexpected arrival of Deja’s mother, who has come to take her back when the charges against her are dropped. After hearing the trouble her mother is causing, Deja steps in, pointing out that they must go through the proper steps. Randall tries to fight in order to keep Deja on the premise that her own mother is unfit. The connection between Randall and Deja is deepened further through her dedication to a photosynthesis presentation and their light-hearted teasing. In reflecting on past conversations with William, Randall comes to realize that just as William refrained from stepping into Randall’s life when he was a child, it was equally as important that Beth and Randall let go of Deja so that she could continue upon the consistent path that was already set in her life. Although they do what is morally right, it pulls on their heartstrings when Deja tells her class that her foster dad helped her with her project, and once again, the audience may be driven to tears during their moments of goodbye. During the flashback to Randall’s teen years, we learn that he is torn between his application to Harvard and his desire to attend Howard University. While visiting Howard University, he connects with friends and exudes true happiness from being with others who look like him. Jack and Randall have a heart to heart talk on the car ride home, and Jack’s discussion of his time in Vietnam is meant to substantiate Randall’s feelings of being out of place. Once back in 2017, Randall learns about Kate’s loss just as Kevin arrives at his house. Unable to handle the situation, Kevin resorts to alcohol and drives off like a maniac. Viewers most likely would anticipate a car crash at this point, but then Tess pops up in the backseat. Luckily, no one is hurt, rather Kevin is pulled over and arrested for a DUI. It is another difficult Thanksgiving for the Pearsons, but Randall and Beth express an interest in fostering again. An adorable little boy is shown with the social worker, leaving viewers hopeful that Number Three will continue to impress us with his efforts to always make things right.